The Bagel Nook, located in Freehold, New Jersey, is the new funky and fun bagel store that serves way more than just bagels. With micro batch cream cheese flavors like Maple Bacon, Birthday Cake, and Jalapeno Cheddar and breakfast choices such as their Crazy Chocolate Chip French Toast and Inside Out Donut, no customer leaves unsatisfied or hungry. 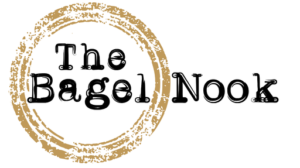 The Bagel Nook is a family-owned business, owned and managed by Alex Berkowitz. Alex found his passion in the bagel business when he was just 16 years old. After being a counterperson schmearing bagels all morning, he realized he wanted more than just a bagel joint. Alex wanted a breakfast and lunch landmark. A community meet-up where everyone in the area comes and has a good time while enjoying a delicious meal. Flash forward a few years, and The Bagel Nook was born! Within just two and a half months, Alex created more than just your average bagel shop and is just getting started!